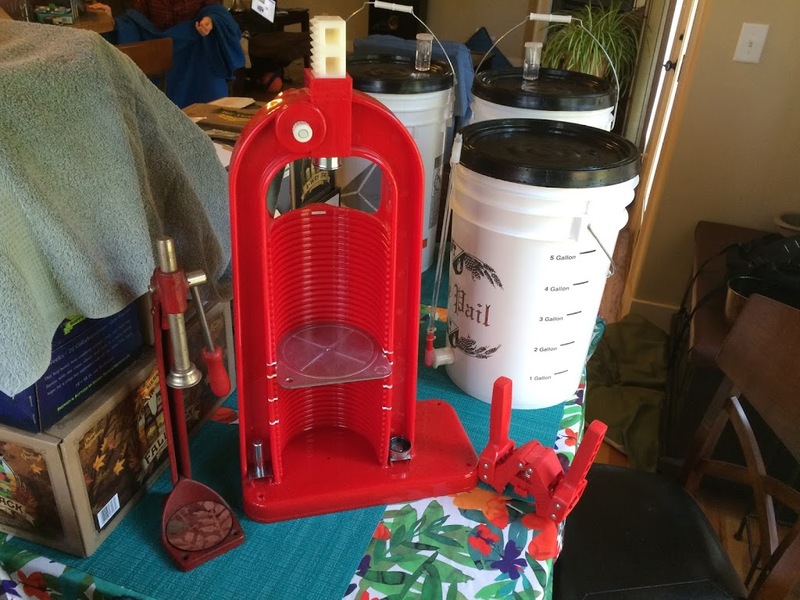 The Bench Capper was an eBay find for $14. 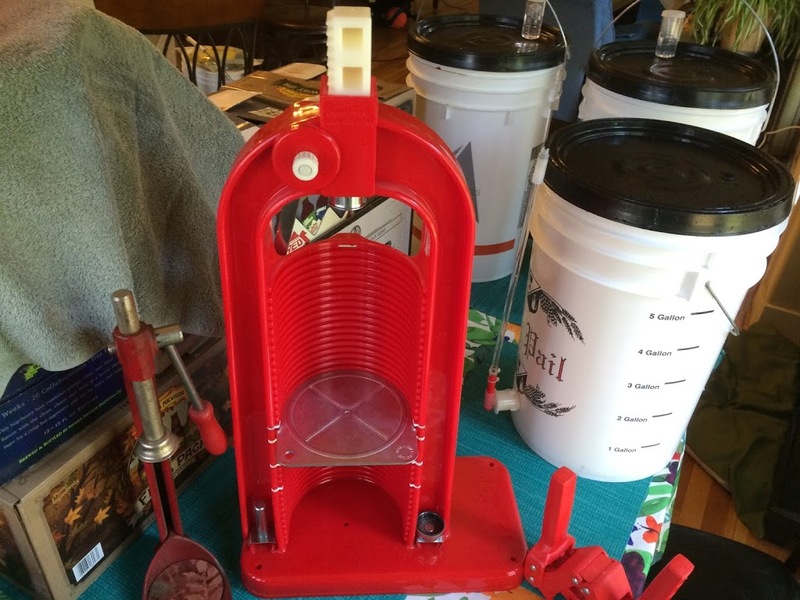 The Colonna Capper/Corker was purchased from a LHBS that went out of business for $40, the wing capper came with the initial equipment kit when I first started brewing. Set up is nothing. Just place on table and start capping. Easy to use, just a turn of the handle and the cap is sealed. 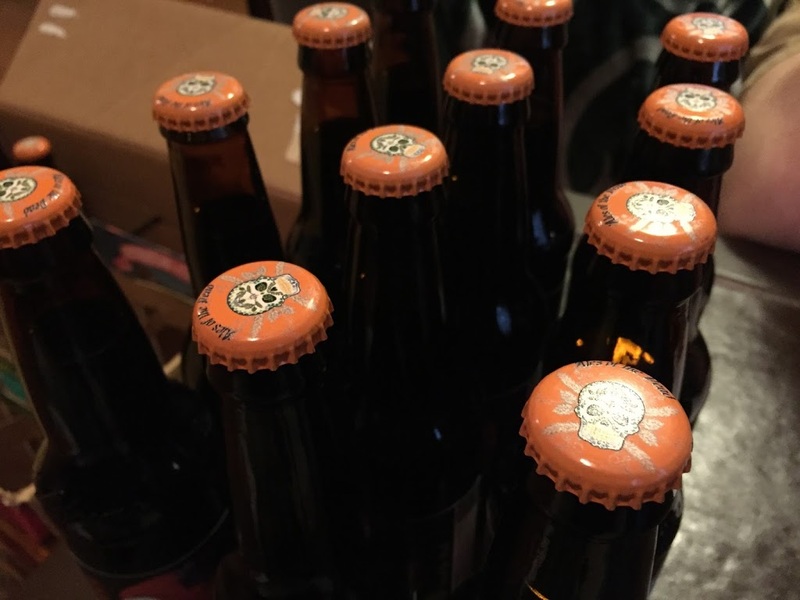 The capping rod was not long enough to cap the shorter bottles. This would not be a problem with the Super Agata Capper, as it is height adjustable, but this capper falls short here. 22oz, 16oz, and regular 12oz longnecks are no problem for this capper. Next up is the Colonna Capper/Corker. 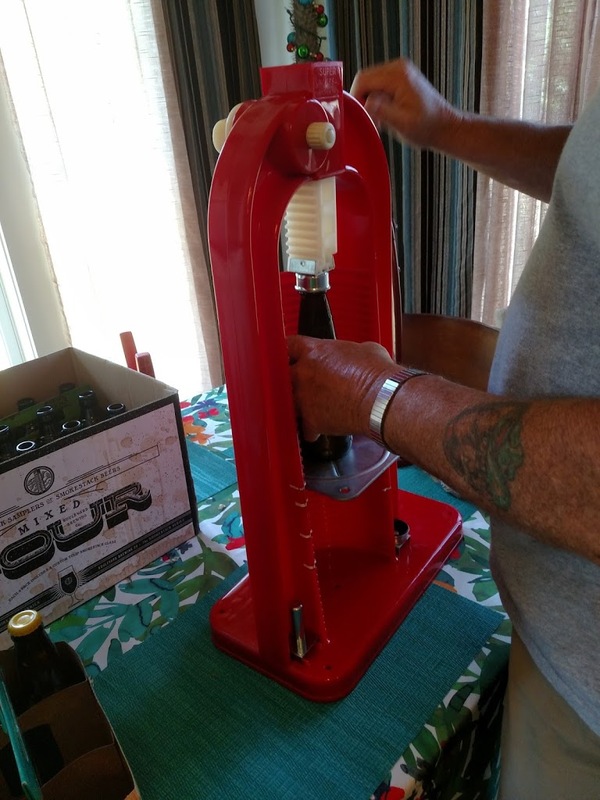 This monster comes with two capping bells and an attachment for corking wine bottles. Setup is straightforward, slide the bell that you want to use on the plunger rod. The silver plate slides out and can be inserted into any of the myriad of slots, allowing for capping bottles of different heights. I have marked the sides for the placement of Stubby, 12oz, 16oz, and 22oz bottles. 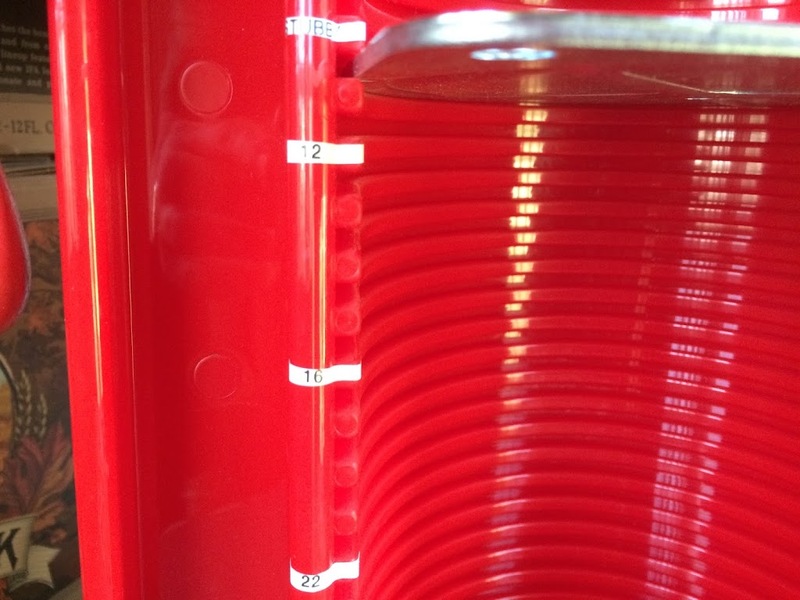 For wine bottles, either place the plate at the bottom most insert or do not use the plate. Easy peasy. 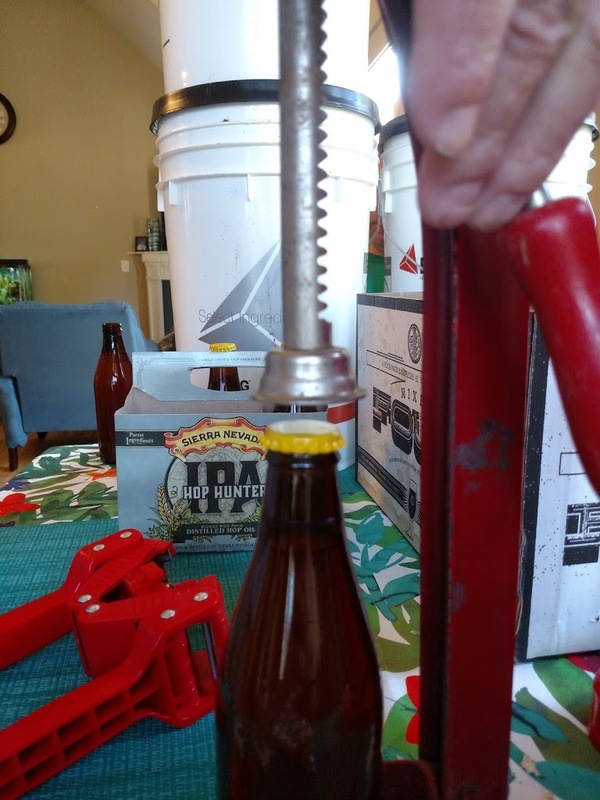 Pull the lever and the bottle is capped. 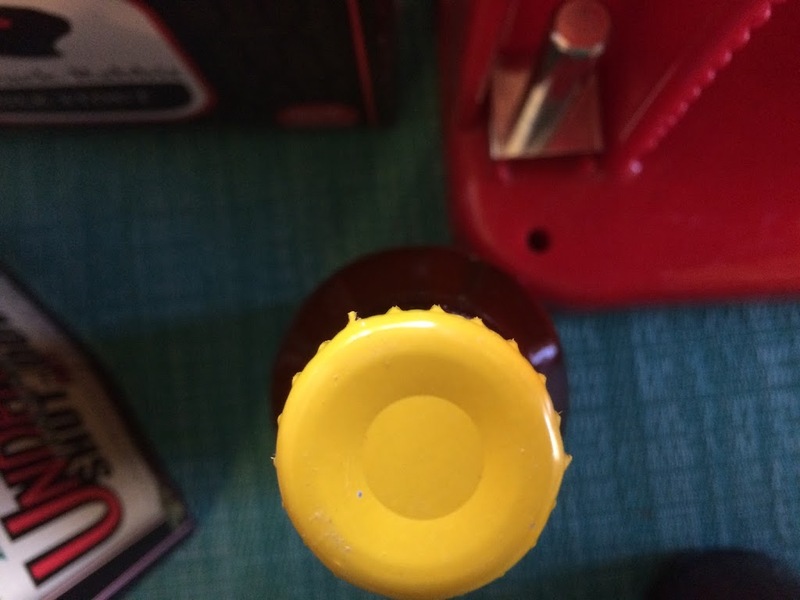 However, the cap is indented pretty far and the sides of the cap are crimped. This is not very favorable and since we are starting to use custom caps, it is unacceptable. We were also worried about the crimps on the side and whether the caps would form a good seal. I’m happy to report that all of the bottles capped with this capper did hold a seal and were carbonated correctly. 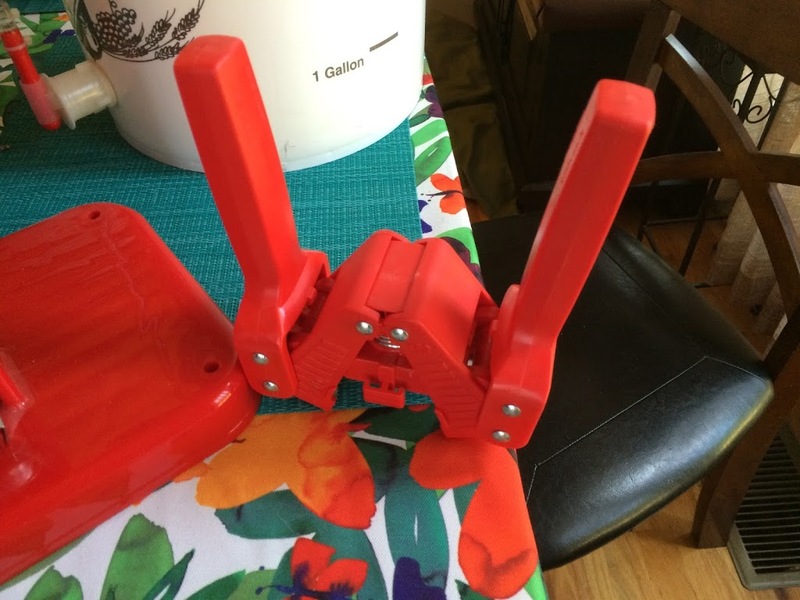 Last, but not least, the Red Baron Hand Wing Capper. 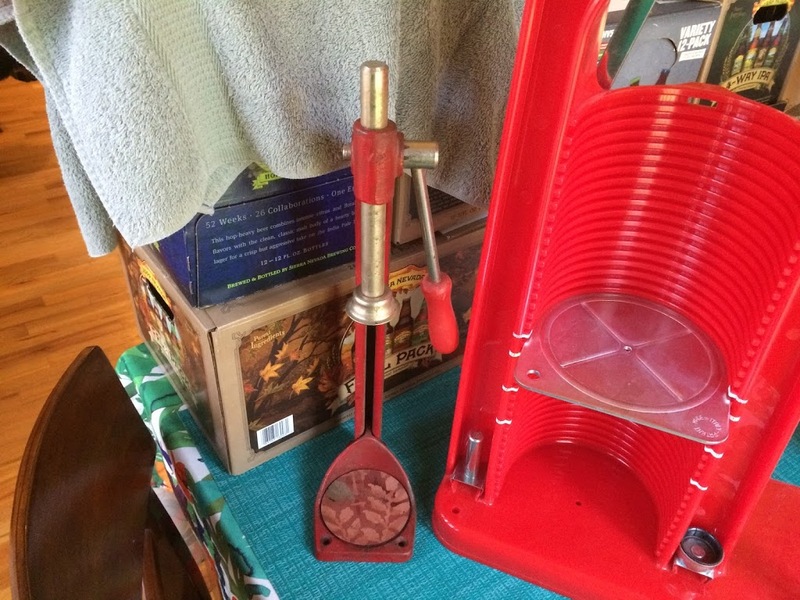 This is the generic capper that comes with most starter equipment kits. No set up at all for this capper. …and push down. That’s it. 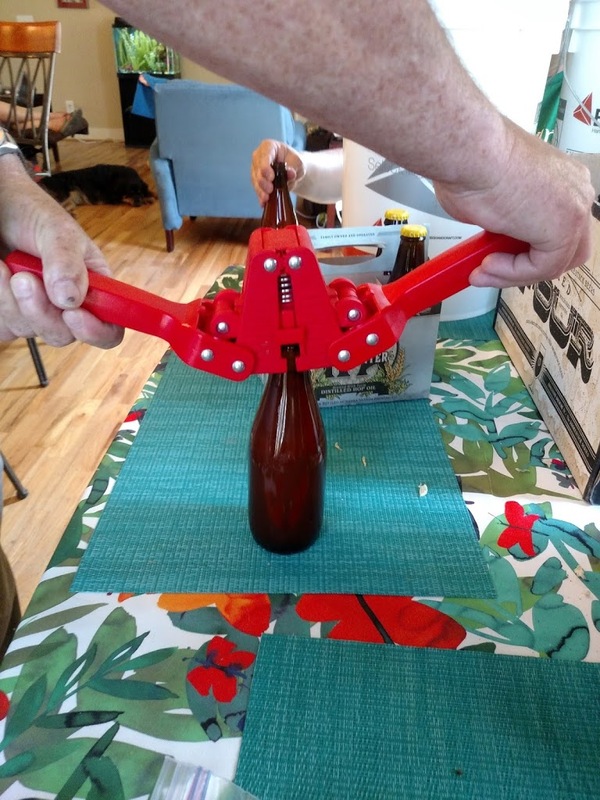 Of course, this capper will cap any size bottle without adjustment. This is the only capper that has broken the necks of bottles. This is due to the inconsistent pressure and angle of pressure using this type of capper. When a neck breaks, the whole bottle (beer included) is discarded. Even great beer should not come with the hazard of swallowing glass. In conclusion, of the three types of cappers used in this showdown, the Colonna was the most versatile. The corker aspect added a lot to the likeability. Followed by the wing capper and then the vintage bench capper. 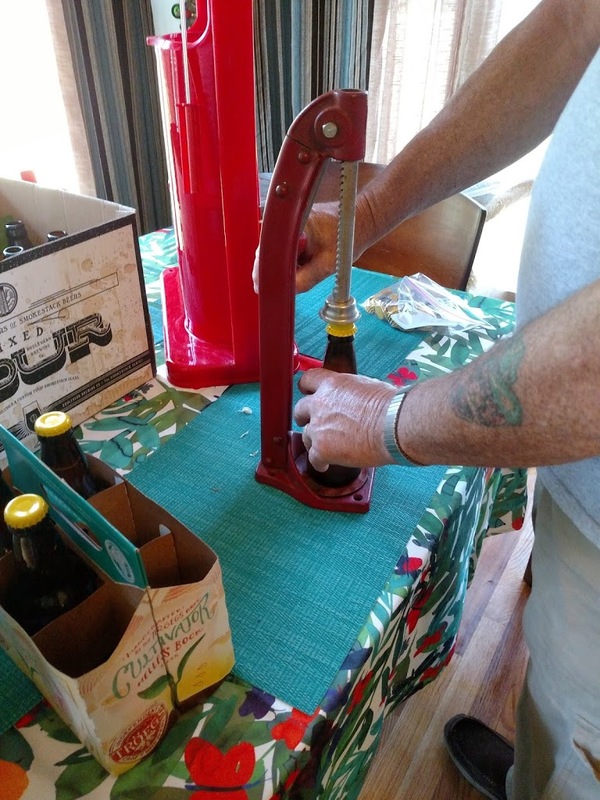 The bench capper was the easiest to use,but had restrictions on the bottles that can be used. The Wing Capper was, actually the all-around favorite. It is able to cap all size bottles and does not damage the caps. 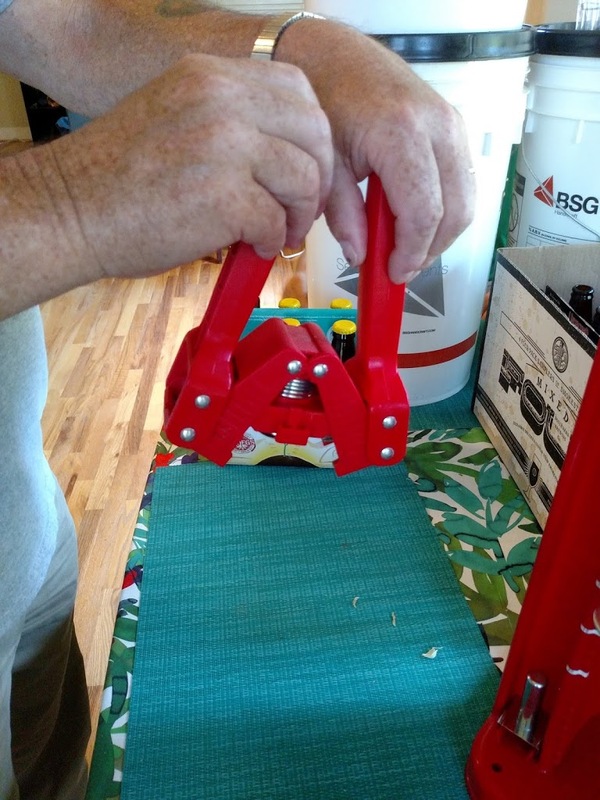 For our capping line, the wing capper has been (and looks like it will remain to be) our go-to capper. My son is 9 years old and likes to help in the brew process. He now has his own equipment to make soda. 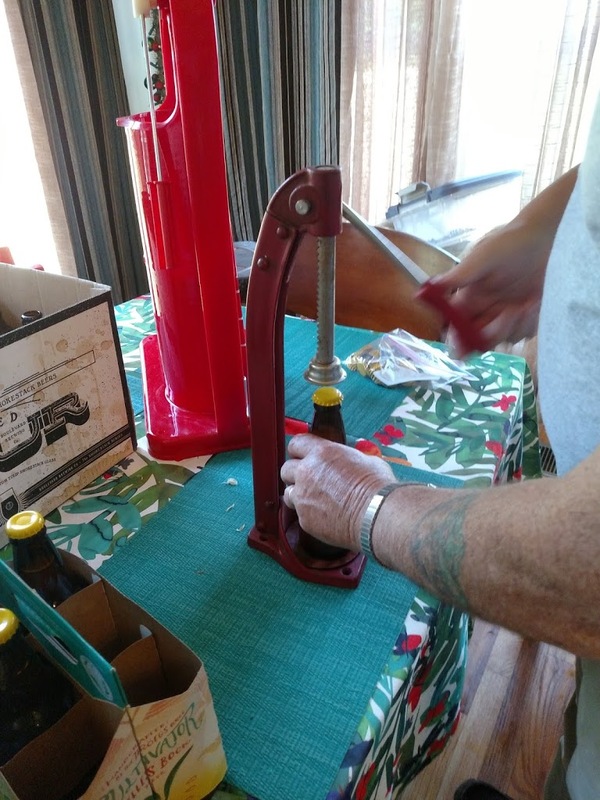 He has claimed the Vintage Bench Capper as his own since it is easy for him to use and we use standard bottles for his soda. (He gets all the Guinness bottles that we saved since labels don’t like to go on them very well).